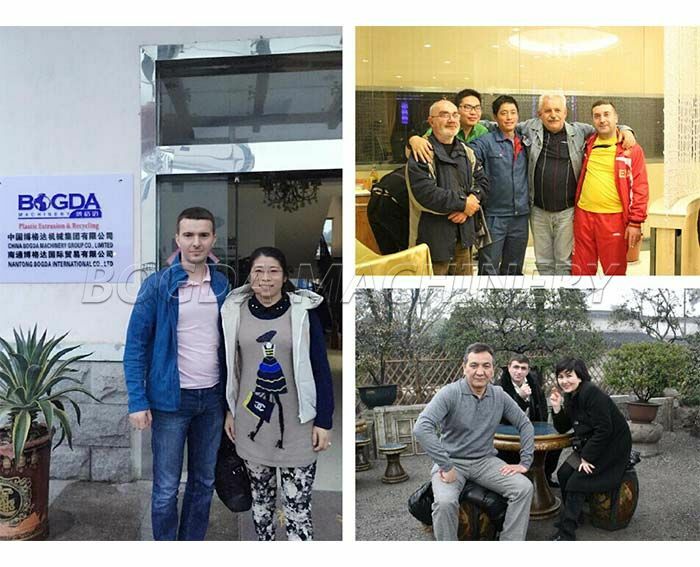 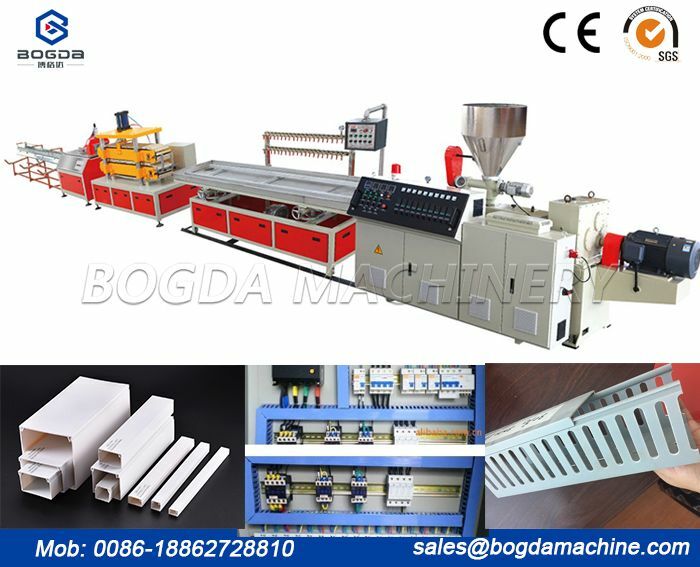 Wood edge band is made up of PVC resin, calcium carbonate and various excipients (stabilizer, DOP oil, ACR, stearic acid, carbon white powder, toner, anti-aging agent, etc.). 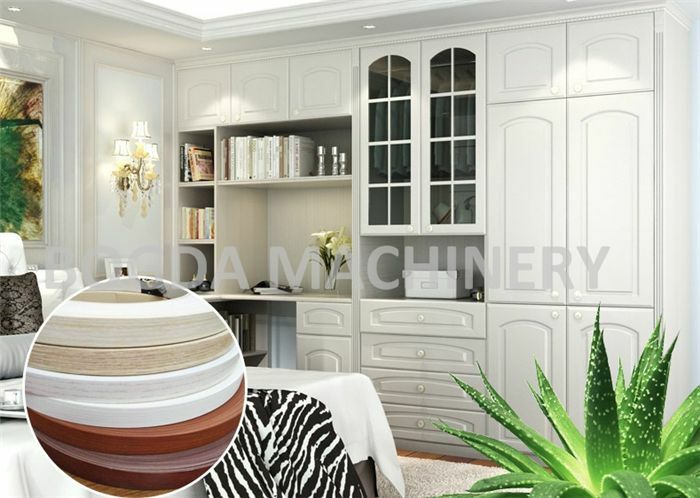 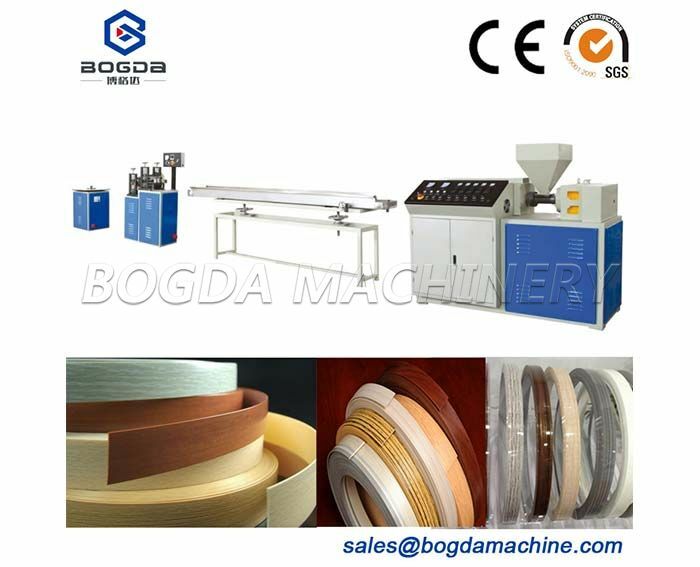 PVC edge banding s are widely used in furniture, office, kitchen utensils, teaching equipment, civil laboratory and so on. 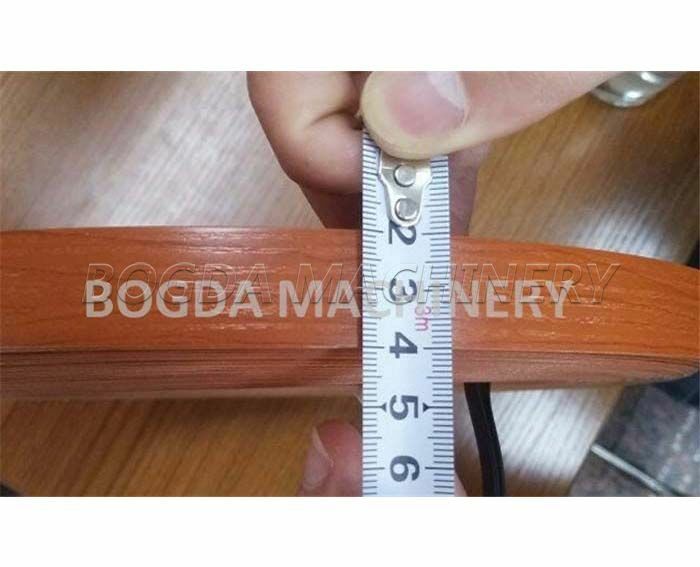 The thickness is from 0.3 to 3mm, and the width is from 12mm to 80mm. 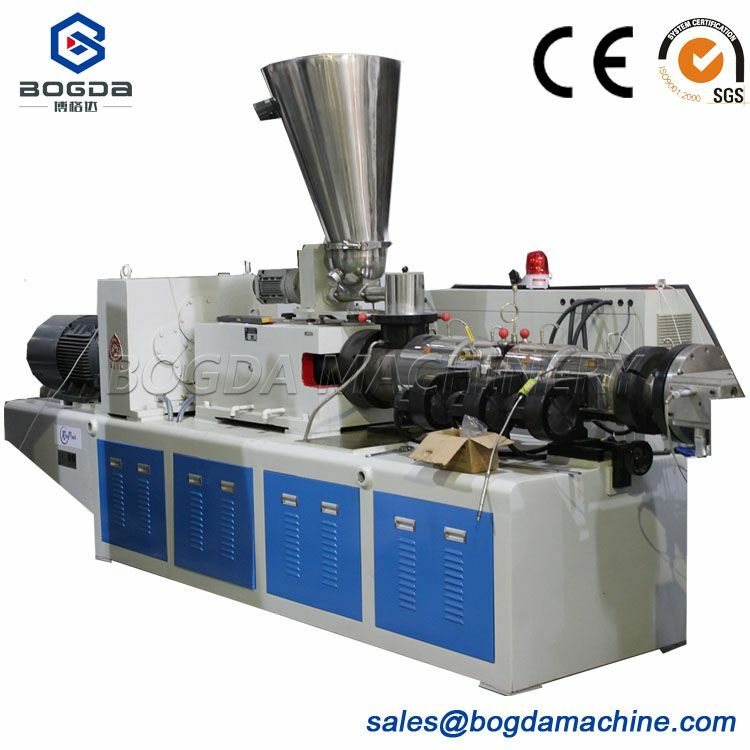 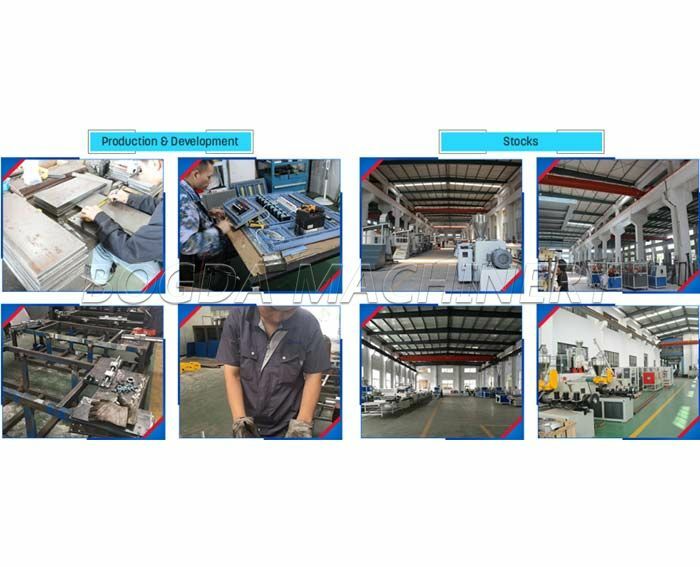 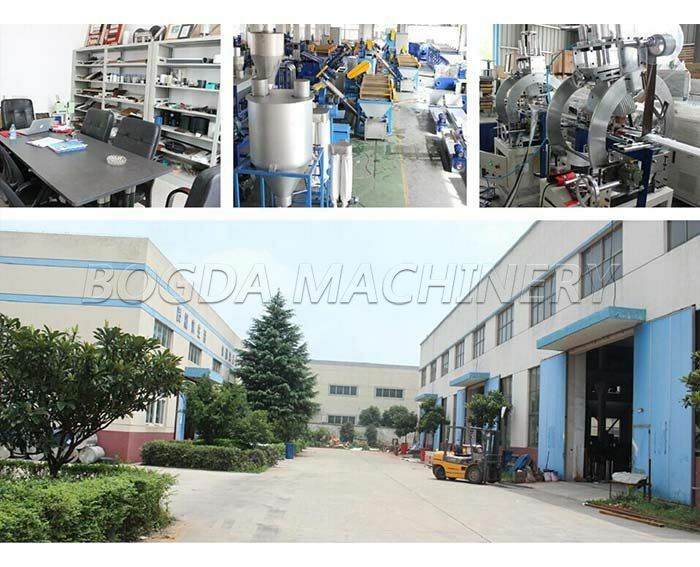 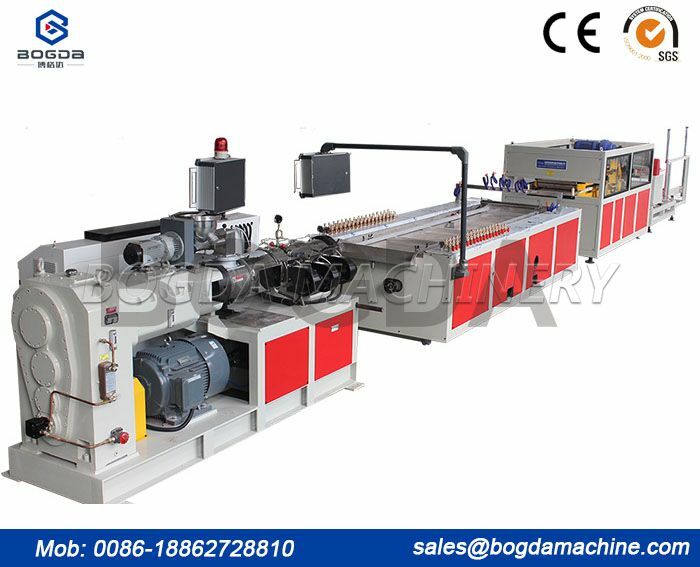 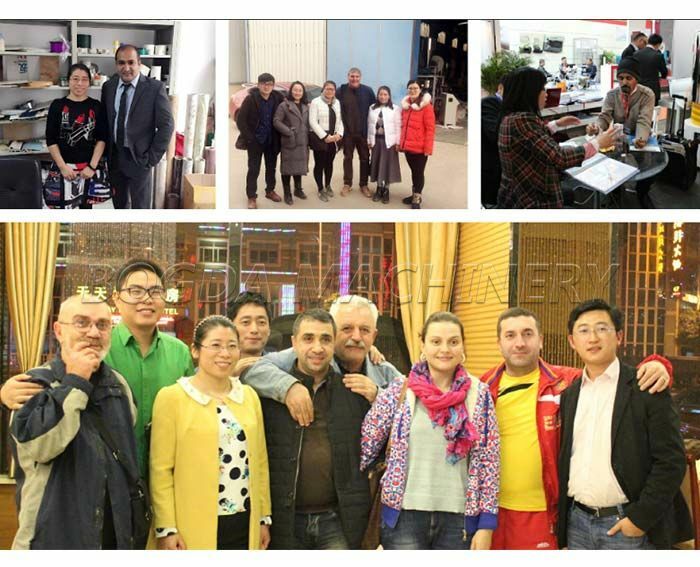 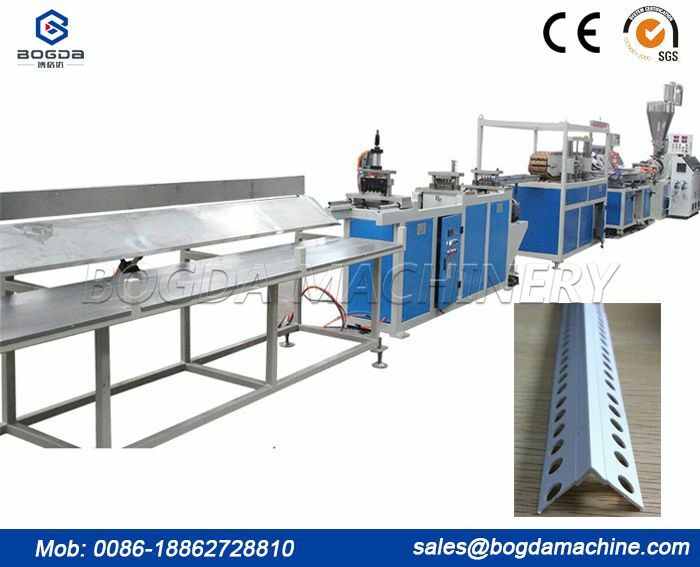 First you need mix raw material together by PVC mixer, second make granule by granulating machine, and then Use single screw extruder(SJ65/25 single screw extruder) to get edge banding, then use printing machine to get glossy surface or wooden design and etc. 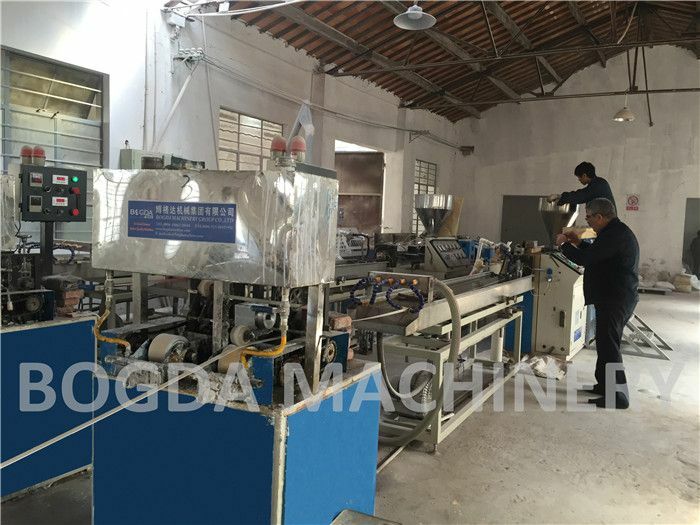 First mix raw material together by mixer, and the use double screw extruder(SJSZ51/105 or SJSZ45/100) to produce egde band, final step is to print color or make edge band glossy.